One of the first things my friends and I did almost every morning in Paris was to walk and explore a new boulangerie to try their croissants. By Day 3, we already found the best croissant and the best baguette, not without help. One of my friends put together a five page document with recommendations she received. 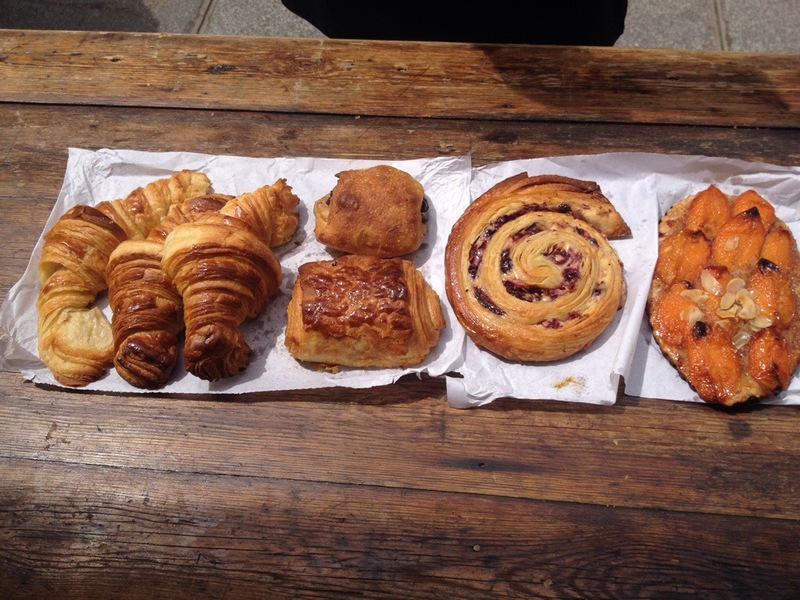 Our favorite place for croissants was at Du Pain et des Idees. Don’t misunderstand me, I don’t think there is a bad croissant in Paris, but these were exceptionally buttery, light, and flakey. We actually shared a number of delicious pastries and it was actually nice to enjoy them on a bench outside. 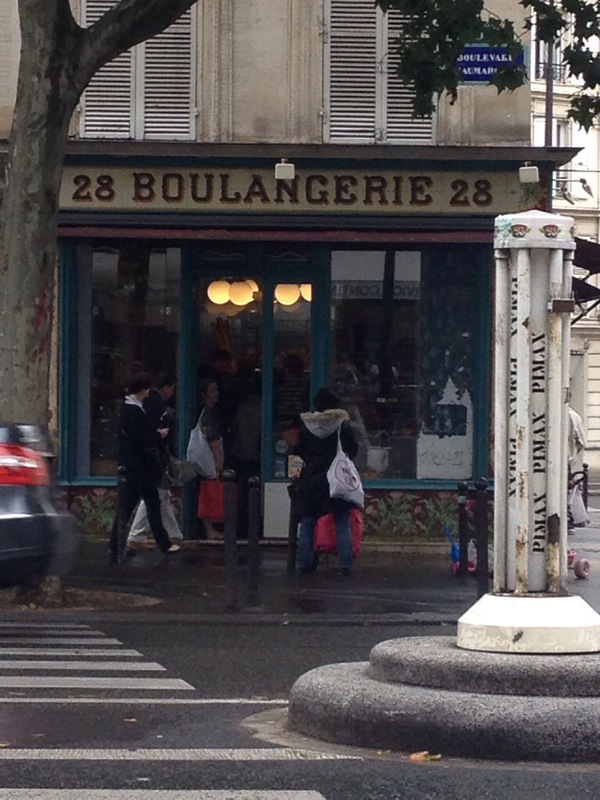 The favorite boulangerie for baguettes was at Au Levain du Marais. It was here when I noticed that everyone in line was getting baguettes. I returned to the line to get one. It was warm, crispy on the outside and chewy on the inside. For less than one euro, the Parisian baguette is the best deal in all of France. We were staying in a lovely apartment in the Left Bank. 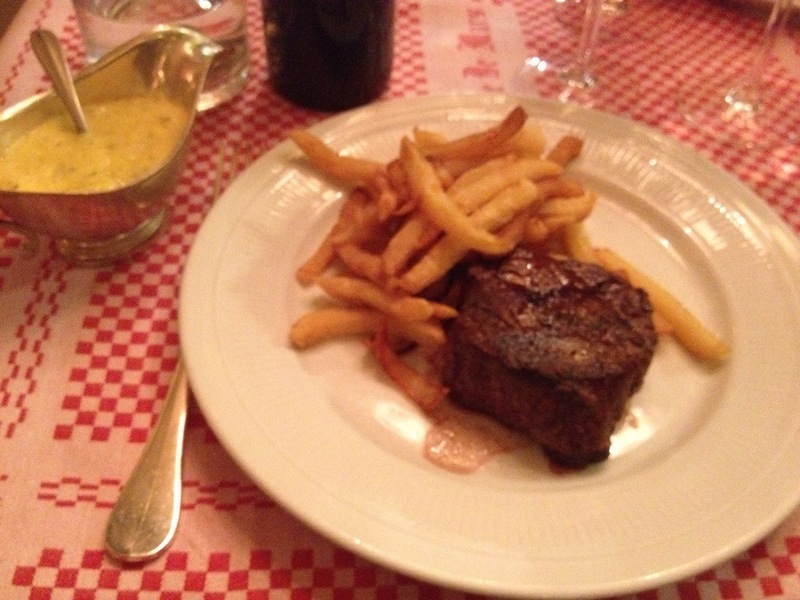 On our first night, we walked to one of the neighborhood restaurants recommended by the owner of the apartment, Le Buisson Ardent. We ordered a three course meal. Each course was great, but the appetizers that one of my friends had, as well as mine were amazing. My friend ordered the tomato salad. 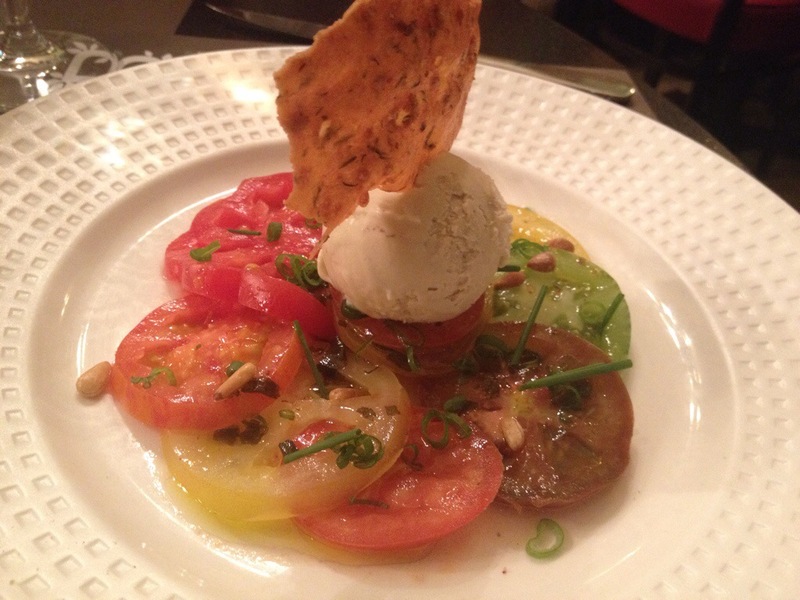 The tomatoes were deliciously sweet, but it was what was on top that really elevated the dish. A round ball of basil leek sorbet. It was not just a surprise when you had a dab of it, but the combination of flavor and texture really worked well. 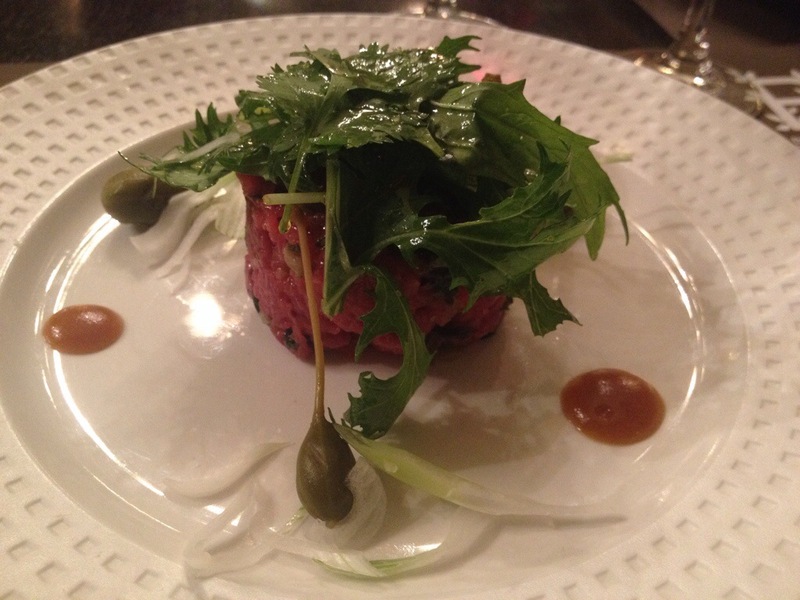 I had eyed the tomato salad myself, but since my friend ordered it, I got the beef tartar instead. 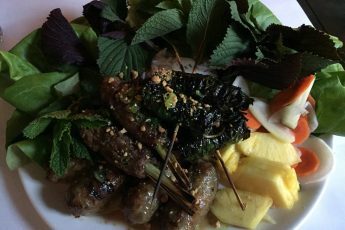 I have always been afraid of this dish, but figured that it was a great opportunity to overcome my fear. I was glad I did because it was delicious. It was delicate, smooth, and nicely flavored. Five years ago when I was in Paris the first time, I set out to go to the famous Berthillon for ice cream, but it was closed the day I went. I made it a mission to go there on this trip. It pretty much rained every day we were in Paris, so we only ended up going twice. 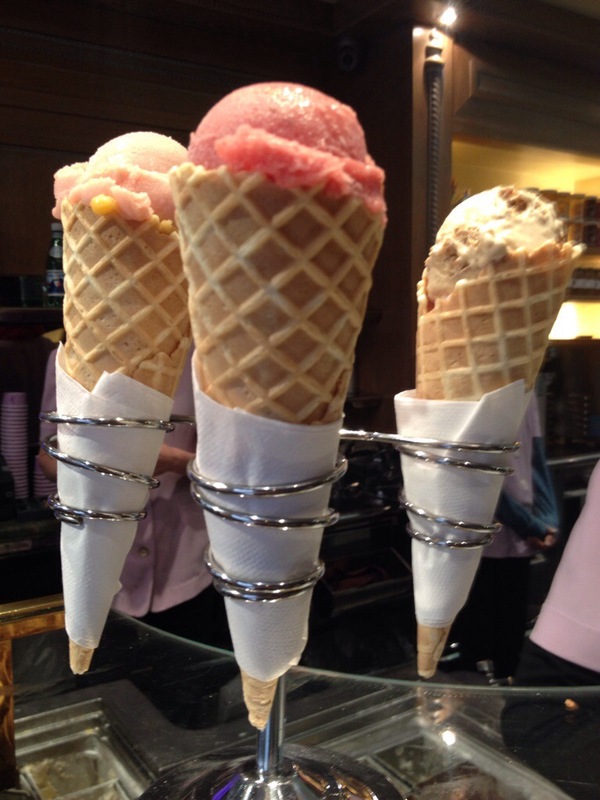 Between the three of us, we tried a dozen flavors. If I were to pick one flavor to have right now, it would probably be the almond. Delish! 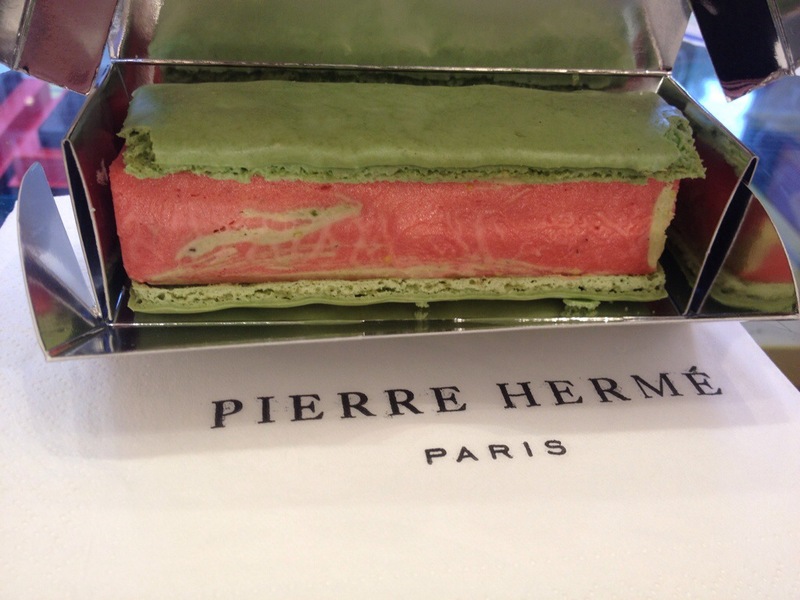 Pierre Hermé is known for his macarons which we bought to try and to give as gifts. Luckily I saw a sign showing that they had ice cream sandwiches. I had to have one of the varieties. I chose the pistachio macaron and strawberry ice cream. It made me very happy. 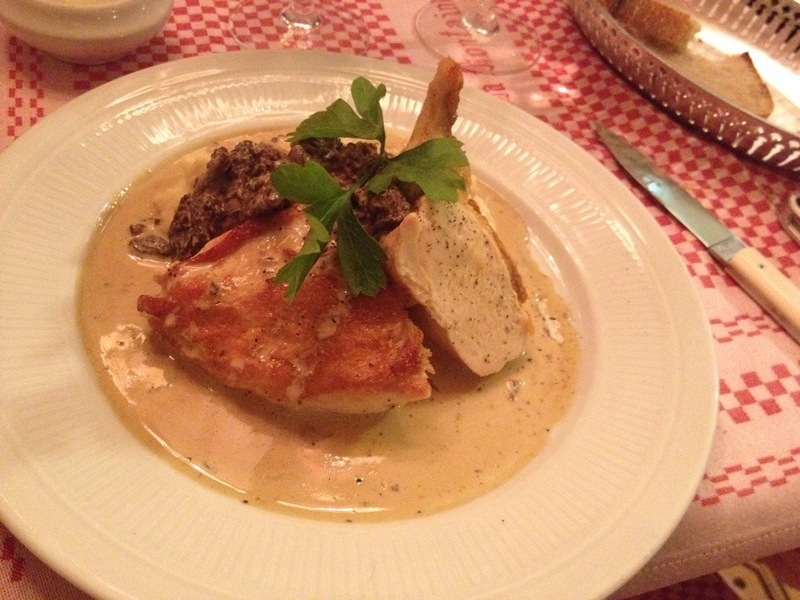 Paris is a gastronomic paradise. I enjoyed some very expensive dinners (including a two star Michelin restaurant) that were amazing, but also quite overwhelming. 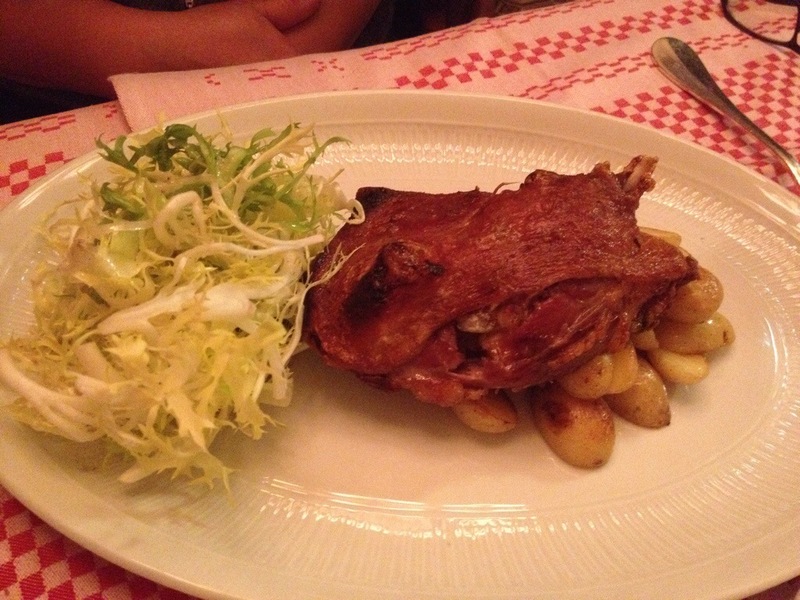 The experience reinforced the fact that I don’t need to have a three to ten course meal to have a great meal. 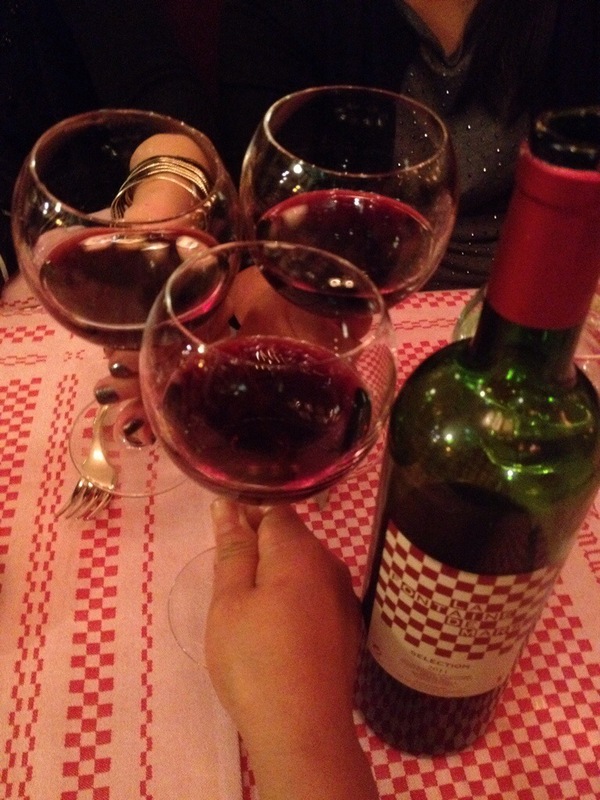 Our final dinner in Paris was at La Fontaine De Mars, a simple bistro where my friends and I each got a plate of food and shared a bottle of house wine. It was perfect.